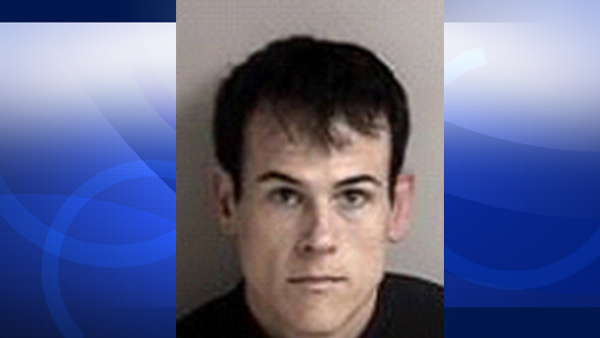 Matthew Muller is seen in a booking photo from police in Dublin, Calif.
VALLEJO, Calif. -- A Harvard Law School graduate and former U.S. Marine has been indicted in the mysterious "Gone Girl" kidnapping case in Vallejo, which was previously deemed a hoax. Matthew D. Muller, 38, of South Lake Tahoe, has been charged with one count of kidnapping, United States Attorney Benjamin B. Wagner announced on Thursday. Muller is accused of breaking into a home in Vallejo on March 23, kidnapping Denise Huskins and restraining her boyfriend, Aaron Quinn, according to court documents. Muller demanded a $15,000 ransom, held her for two days, and ultimately released her in Huntington Beach, the documents stated.